We scanned barcodes placed at various heights,measuring work times and muscle load and also performed eye movement tracking. 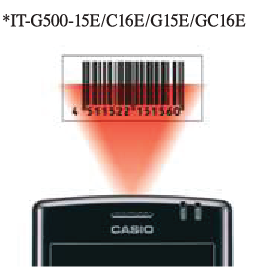 Analysis of the resulting data led to adoption of a downward scanning angle that places little strain on the eyes, arm, or hand and ensures reliable scanning even of barcodes in high and low locations while viewing the screen at the same time. 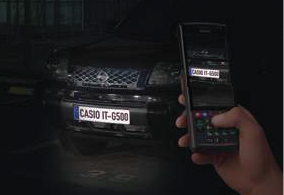 The IT-G500 has a 4.3-inch transmissive TFT LCD screen that supports WVGA (800 x 480 dots). 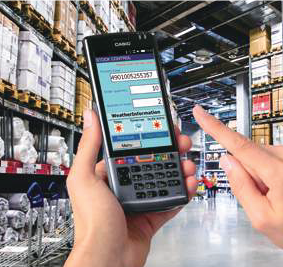 The LCD offers excellent visibility indoors or outdoors and displays even small text with high resolution.The enlarged screen area makes it possible to display more information to increase effectiveness when the IT-G500 is used to place orders or search product information. The resistive touch panel can be operated even while wearing gloves. 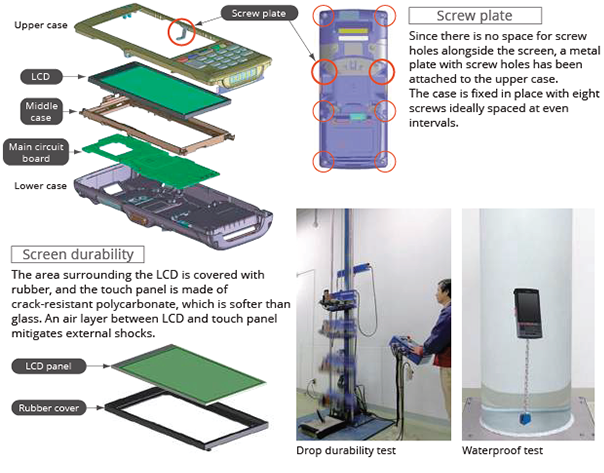 The unique impact-resistant frame construction, featuring a middle case that reinforces key components and upper and lower cases that protect them from shocks, provides impact resistance for drops from a height of up to 1.5 m. The use of packing around the entire casing and the external mounting screws provides IP67 protection. 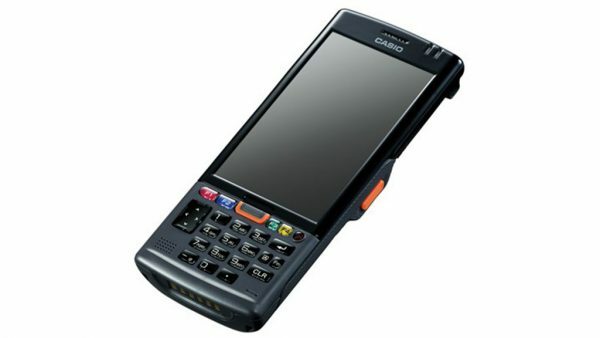 Furthermore, the IT-G500 has an operating temperature range of -20 ºC to 50 ºC. 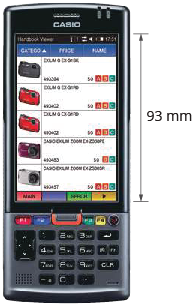 The device supports reading of a wide variety of 1D & 2D code symbologies. Use of the latest module and decoder improves performance when scanning hard-to-read codes, increases depth of field, and increases hand jitter tolerance.